Is your sport your life? It is for one Sartell senior. Brooke Walters shoots pucks in her driveway and runs hills for hours. 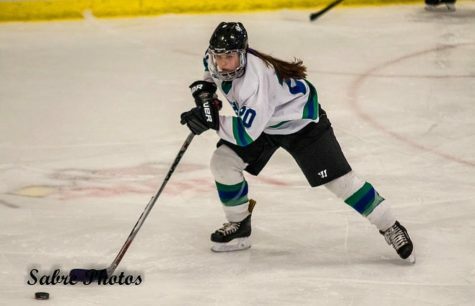 Sartell students assume Brooke is headed D1 but instead of just adding to the rumors, the LeSabre sat down with Brooke to find out her thoughts on hockey and what exactly her plans are for the future. Q. When and why did you decide to play hockey? Brooke: I started to play when I was 10 years old. I decided to play because I saw my brother play, and I wanted to try because he said it was a lot of fun. 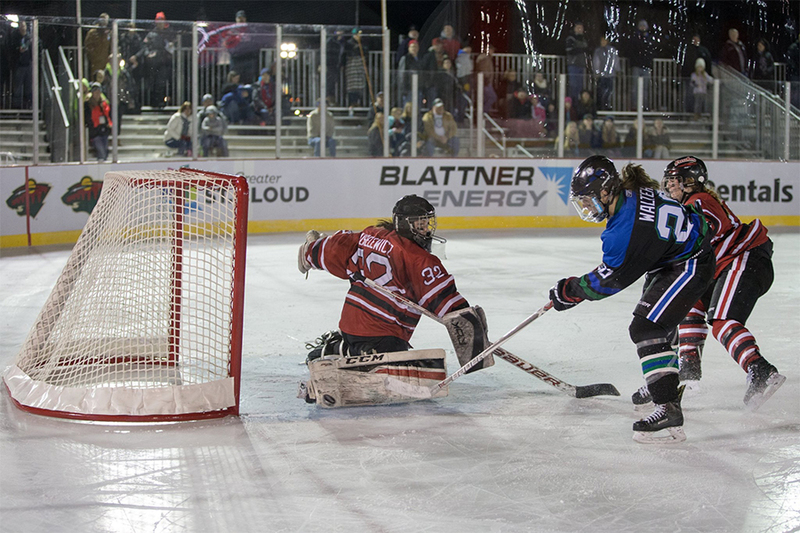 Brooke at Hockey Day MN. Q. What habits and practices have you found that positively impact your athletic performance? Brooke: Some habits are trying to eat healthily and working out, and practicing specifically for hockey, such as shooting the puck and working on quick feet. Q.What have you done in the offseason to improve? Brooke: I shoot, run hills, lift, stickhandle, and I am on the ice almost every day in the summer. Q.Do you have any pre-game rituals? 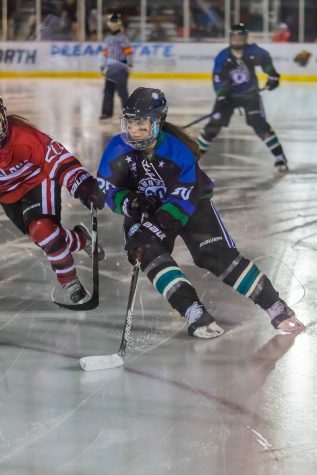 Brooke: I usually have to eat roughly two hours before I play and then once I get to the rink I tape my stick and watch JV and while I’m doing this I listen to music, then we warm up and get dressed. Q.What’s your best memory from your high school hockey career? Brooke: Going to state my freshman year. Brooke Walters with the puck. Q. Is there any advice you could give to younger hockey players? Brooke: To work hard and have fun because high school goes super fast. Q.Do you have any plans of playing college hockey? Brooke: Yes, I want to play at Vermont University, and if that doesn’t work I will most likely go to River Falls. 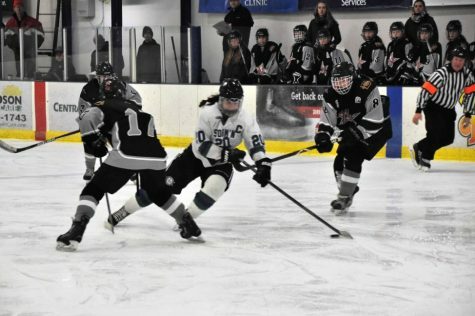 Brooke: It has been stressful because Sartell is such a small school it has been harder for me to get myself in front of college coaches, and girls commit so early now that I’m finally getting coaches to see me but they have almost a full roster because they committed girls when they were in 8th grade. Q. Is there a professional hockey player you look up to? Brooke: I’ve always liked Patrick Kane because he has insane moves. Q.Who is your favorite NHL team?